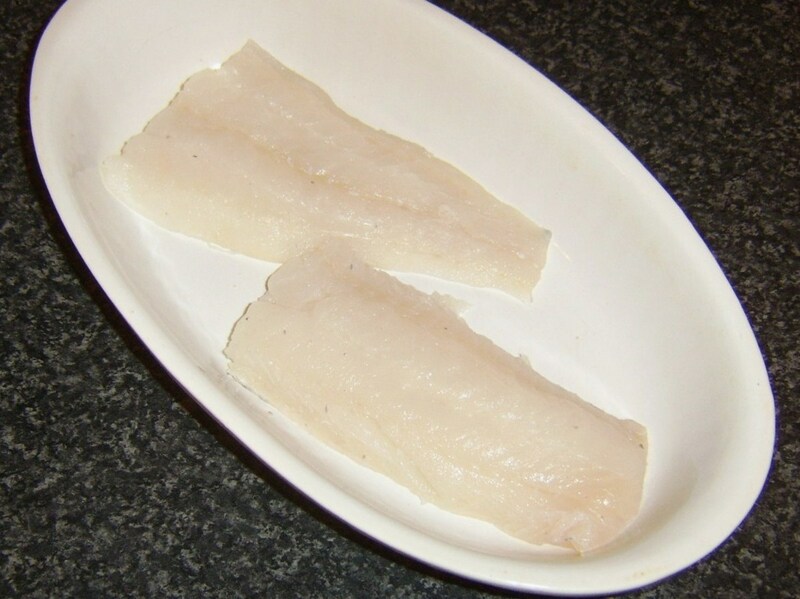 Haddock is a firm, white fleshed fish, closely related to the Atlantic cod. It is found in the North Atlantic Ocean and the North Sea. 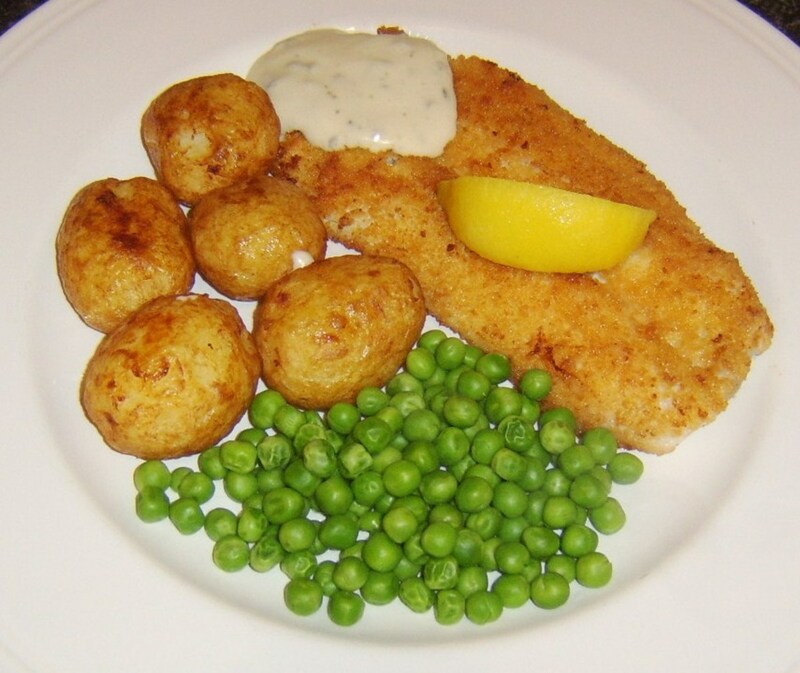 Haddock is a very versatile fish and can be cooked in a great many different ways but it is usually cooked in filleted form rather than whole and on the bone. 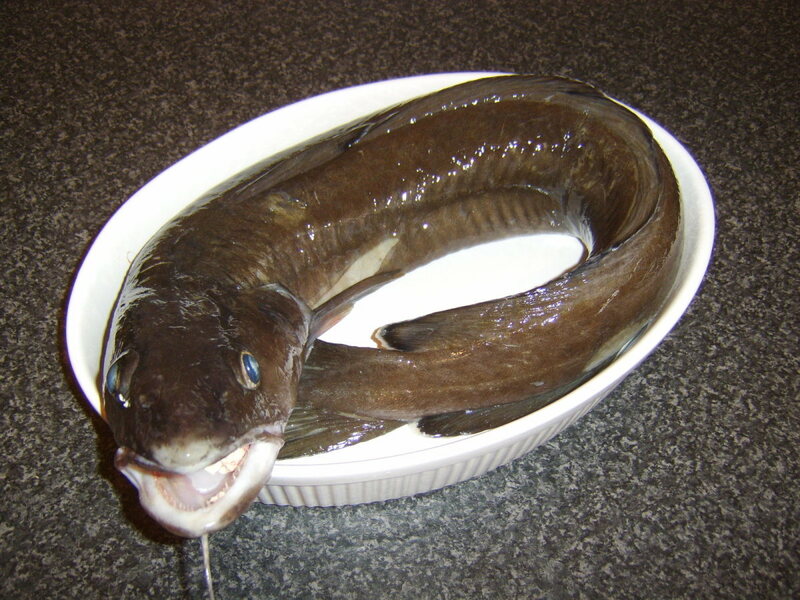 This is why it is almost always found pre-filleted and even skinned in supermarkets and fishmongers. There have for many years been concerns about the stock levels of haddock and the sustainability of the species. 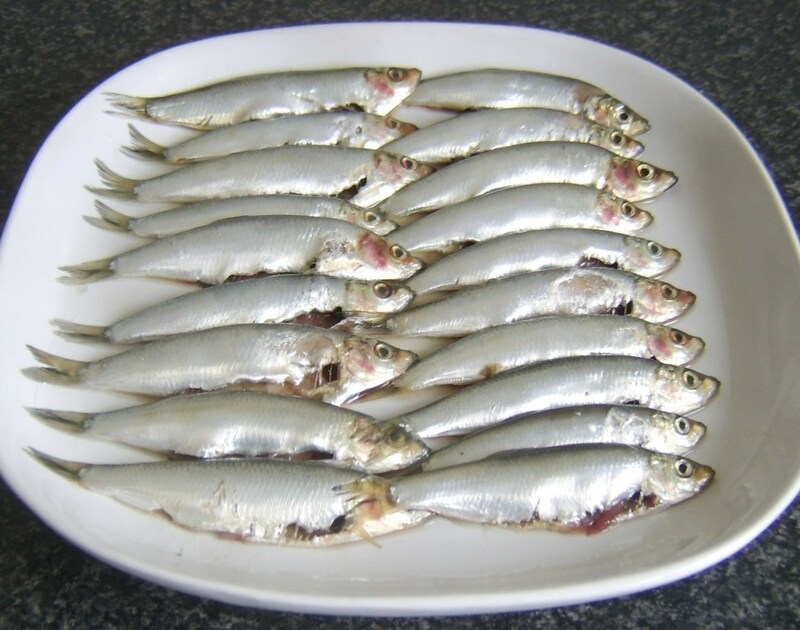 For this reason, while haddock can and should be enjoyed on occasion, it is important not to ignore sustainable alternatives such as coley, pollack or particularly the even more delicious whiting. If you do happen to come by a whole haddock - perhaps you caught it yourself? - it is important to know how to fillet it properly. 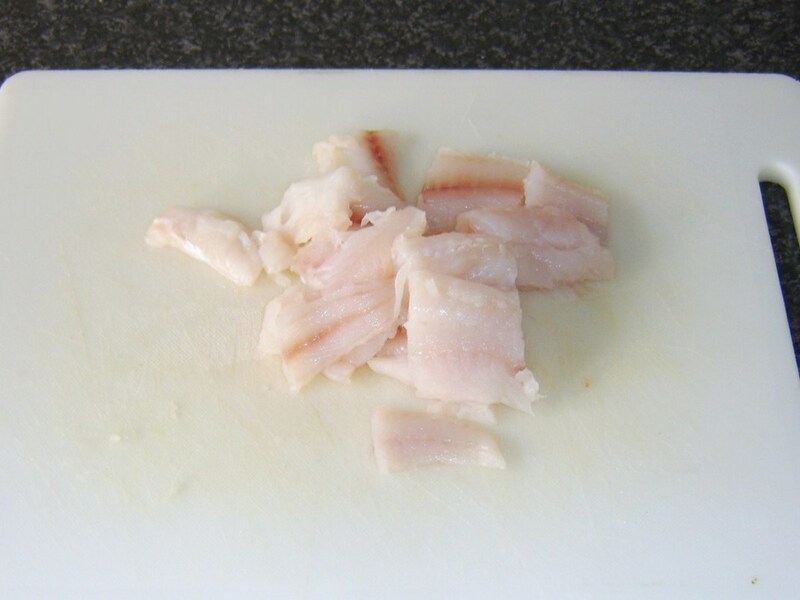 The short video below shows how to fillet and skin a haddock in a few short, easy steps. Do note only that it is imperative you do have a proper filleting knife to undertake this task. 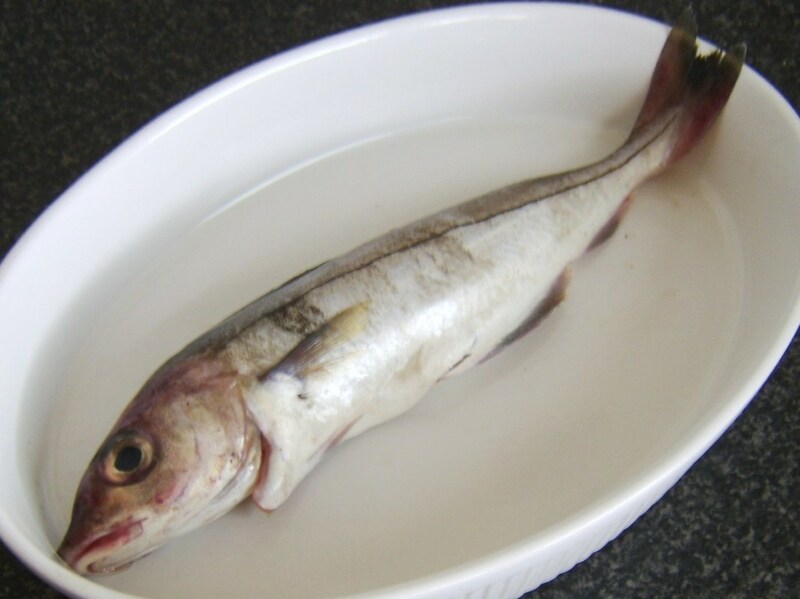 If you do find yourself filleting a haddock, don't forget to use the head and bones to make fish stock. This can be frozen if you wish until required. 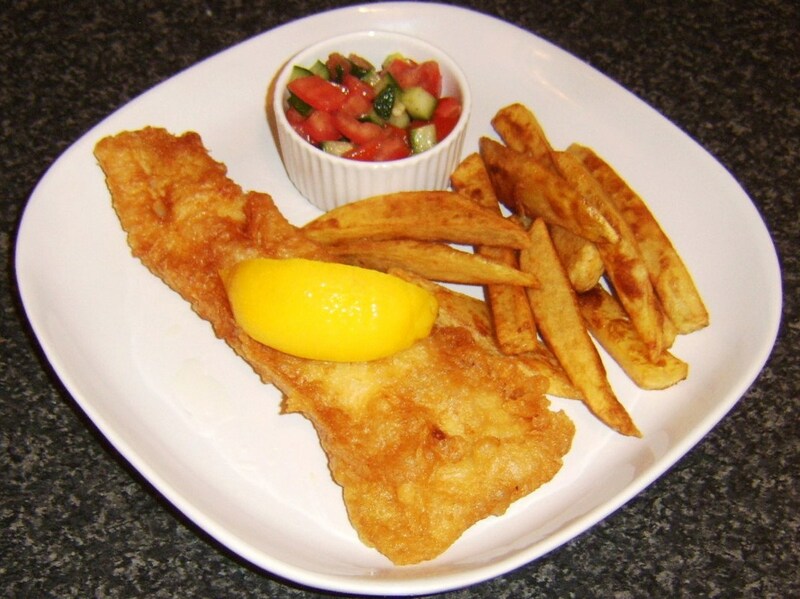 Deep fried and served with chips is the way haddock will be most familiar to a majority of people in the UK at least. 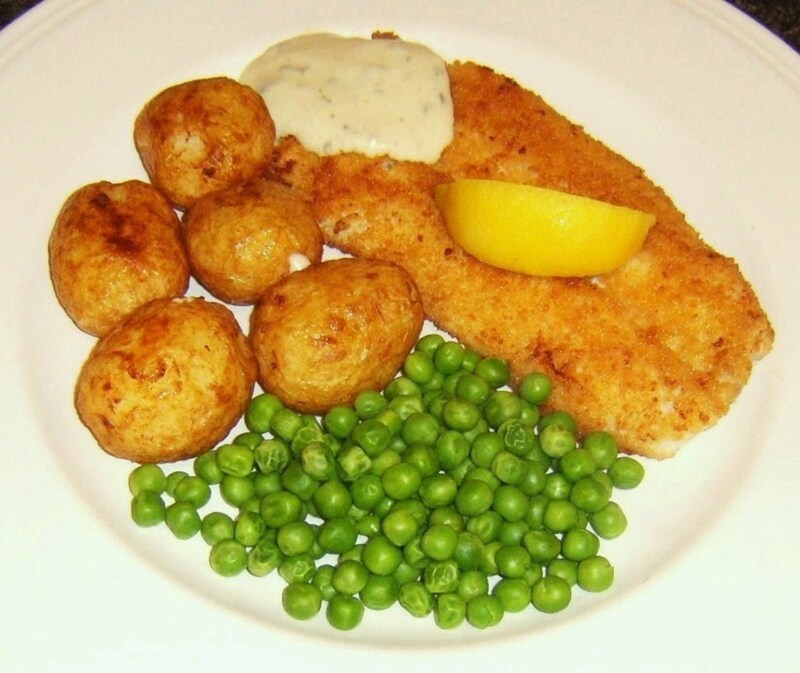 This is because it is a very popular choice in fish and chip shops, especially in Scotland, where an overwhelming majority of fish suppers will be prepared from haddock. The salsa is not a common accompaniment to fish and chips but it does add an extra little twist to a classic combination. 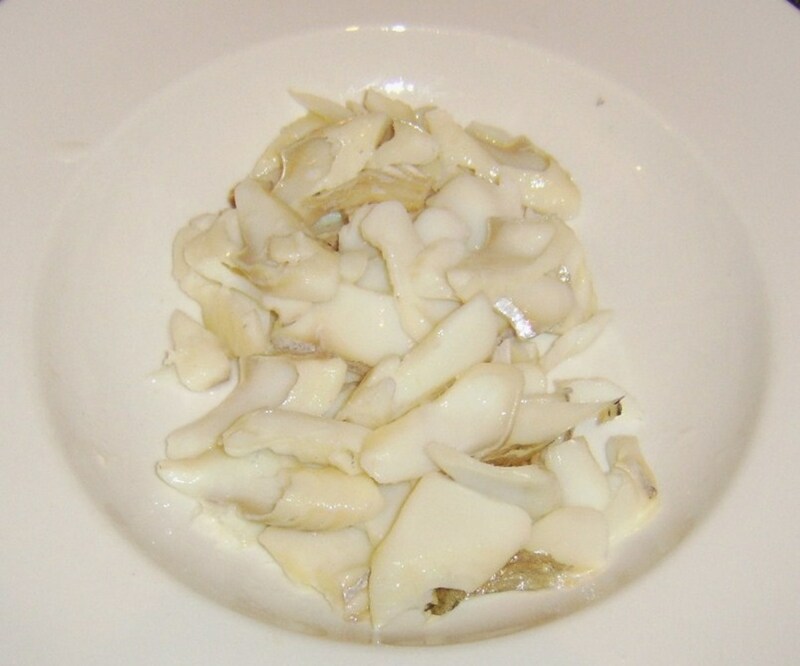 In this recipe, the chips have been prepared by the three stage method of being once boiled and twice fried. This definitely does give them an extra internal fluffiness and external crispiness but the one drawback is that it does significantly impact on the cooking and preparation times stipulated in the recipe. If time is short, therefore, the chips can be prepared by your own established method of choice. 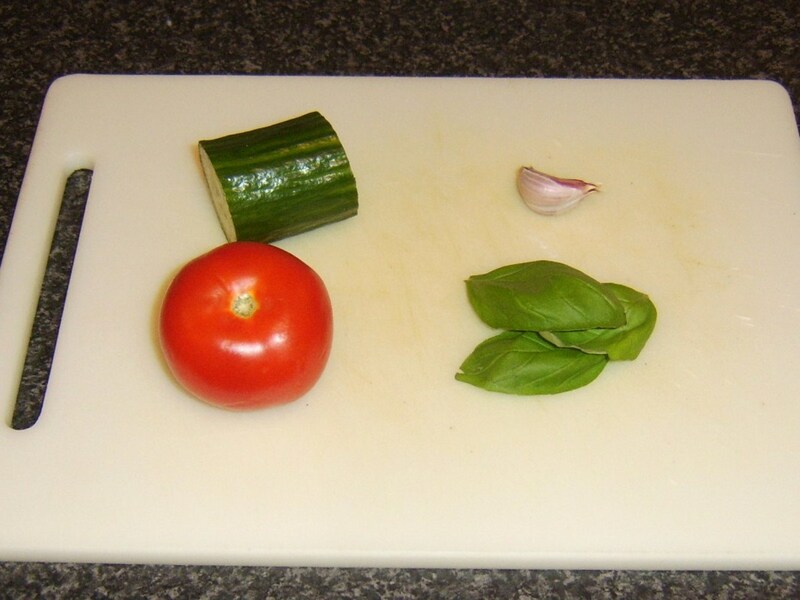 Begin by preparing the salsa. This is in order to give the flavours the maximum amount of time to infuse. If this can be done a couple of hours in advance, all the better. 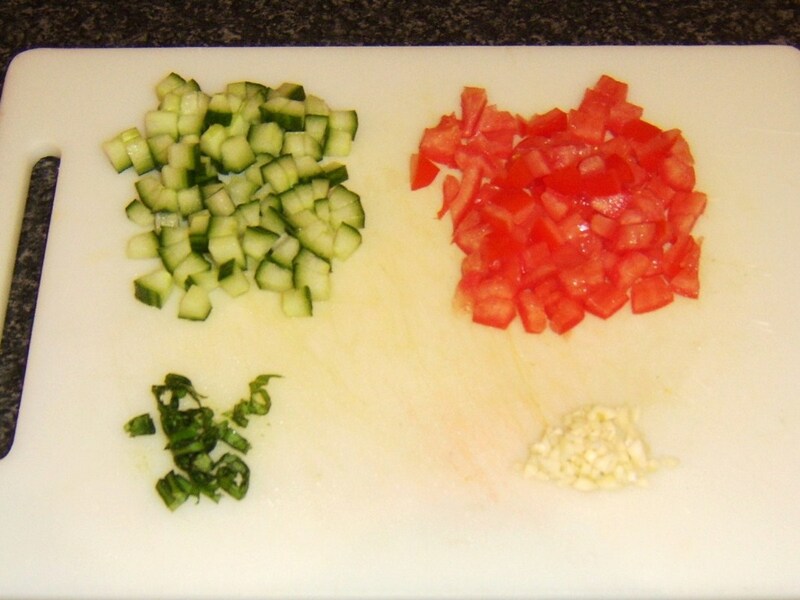 If using the three stage method of preparing the chips, the salsa can be made while the chips are parboiling. 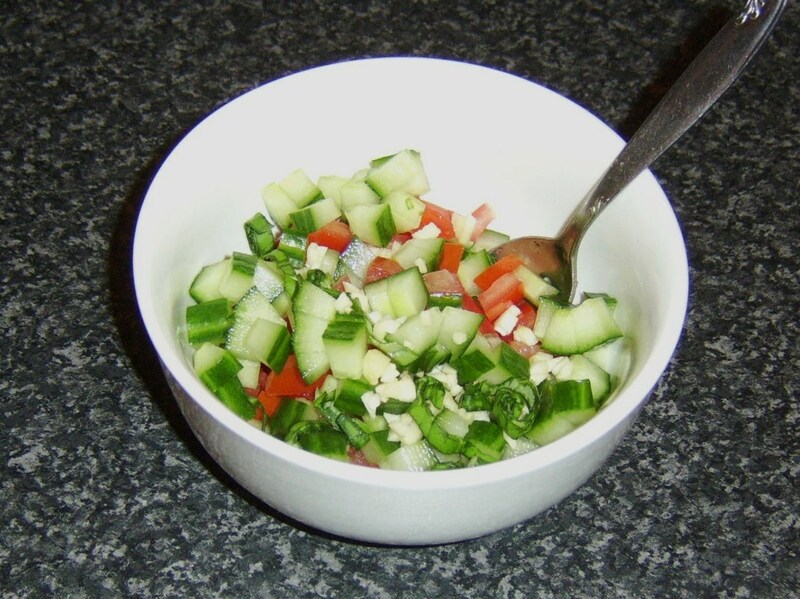 Put the tomato, cucumber, garlic and basil in to a bowl. Season with salt and pepper and drizzle with the olive oil. Stir well, cover with plastic wrap and refrigerate until required. If you have a twin basket deep fryer, you can of course cook the haddock and give the chips their final fry simultaneously. If not, it is a good idea to cook the chips first, drain them on kitchen paper and keep them warm in an ovenproof dish in a low oven while you fry the haddock. Some batters require resting for fifteen to twenty minutes before they are used. 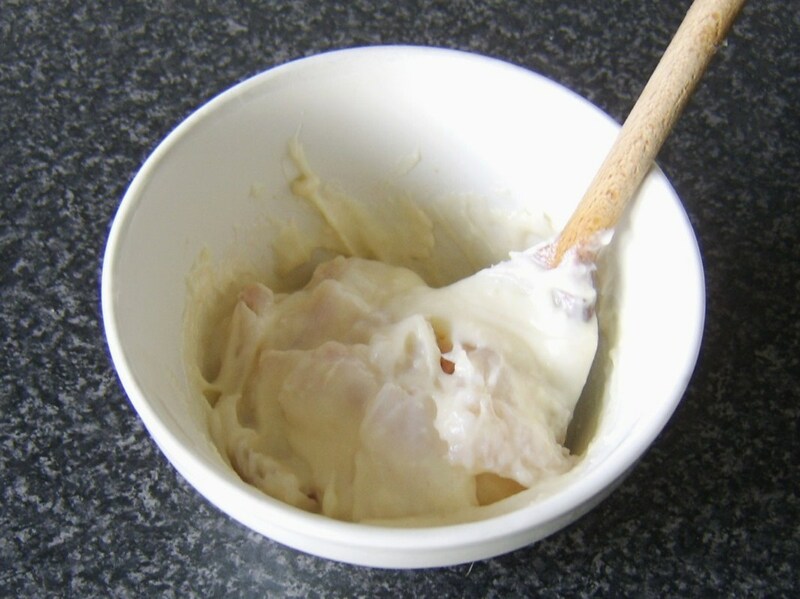 With beer batter like this it is important to prepare it and use it immediately as the bubbles in the beer contribute to the lightness and crispness of the batter. Spoon the flour in to a dish. In this instance, a plastic dish designed for storing bacon in the refrigerator is used as being the perfect shape and size. Slowly pour in the beer, a little at a time, whisking as you do so with a fork. The consistency you want is that of moderately thick cream. 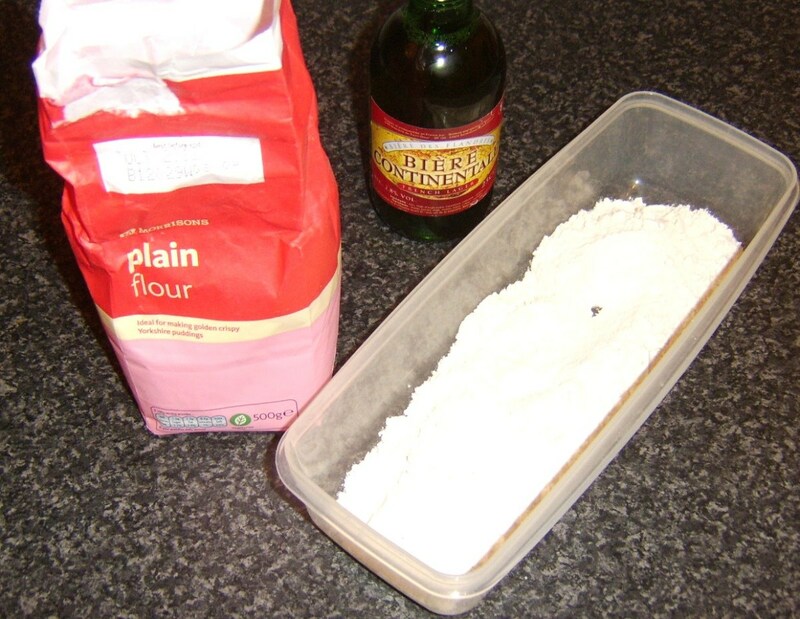 If you accidentally add too much beer, simply add a little more flour. Don't worry too much about the odd small lump or two in your batter - it doesn't matter. 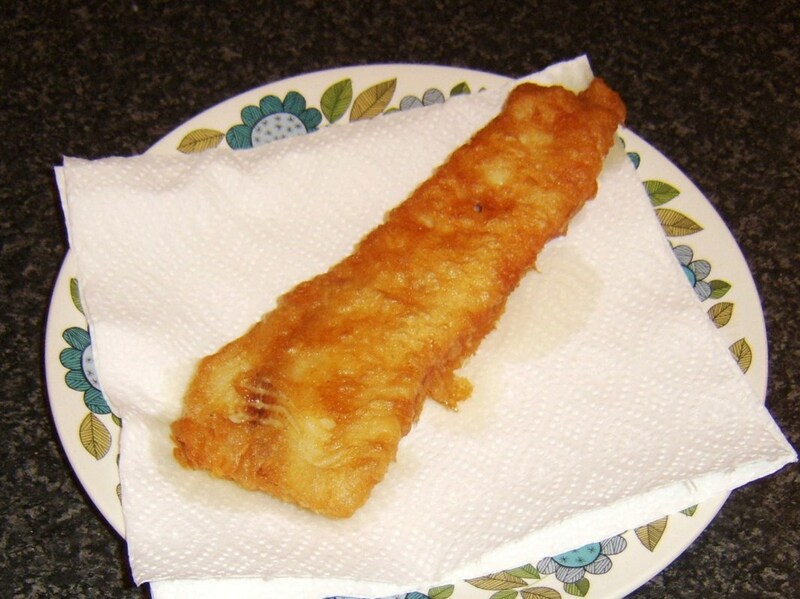 Dip the haddock in the batter to give it an even coating. Hold it up for a couple of seconds only over the dish to let any excess drip off before very carefully lowering it in to the hot oil to fry for four or five minutes until crisp and golden. Lift the fish to a plate covered with kitchen paper to drain. 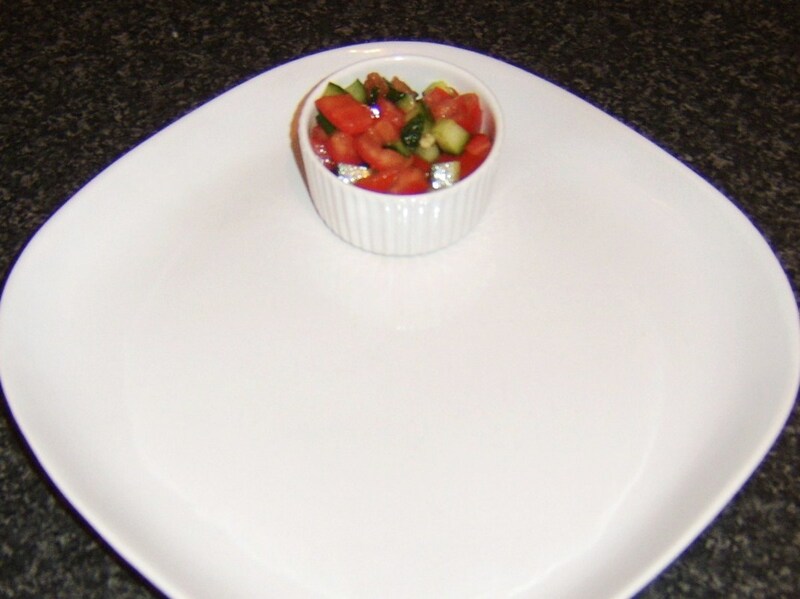 Spoon the salsa in to a small ramekin and plate with the chips. Lay the haddock alongside, garnish with the lemon wedge and enjoy with the rest of the beer. 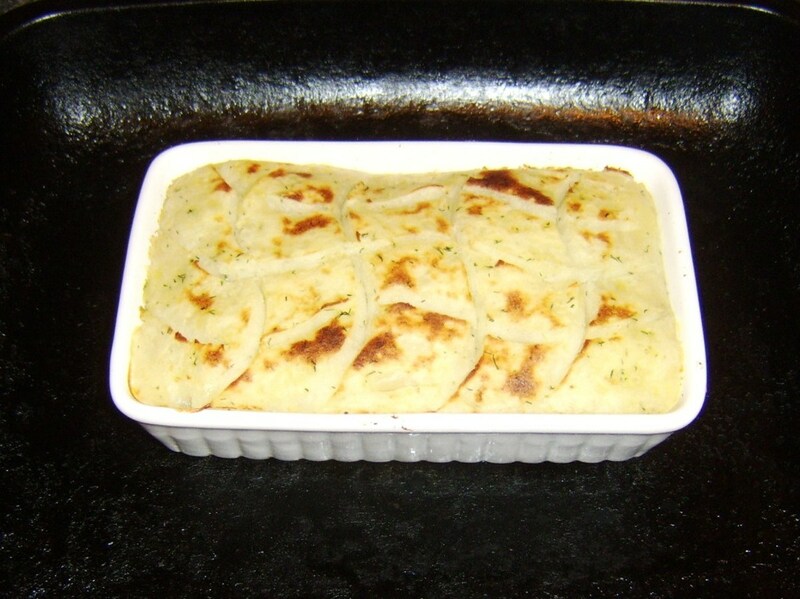 Fish pies are usually made with two or even three different types of fish. 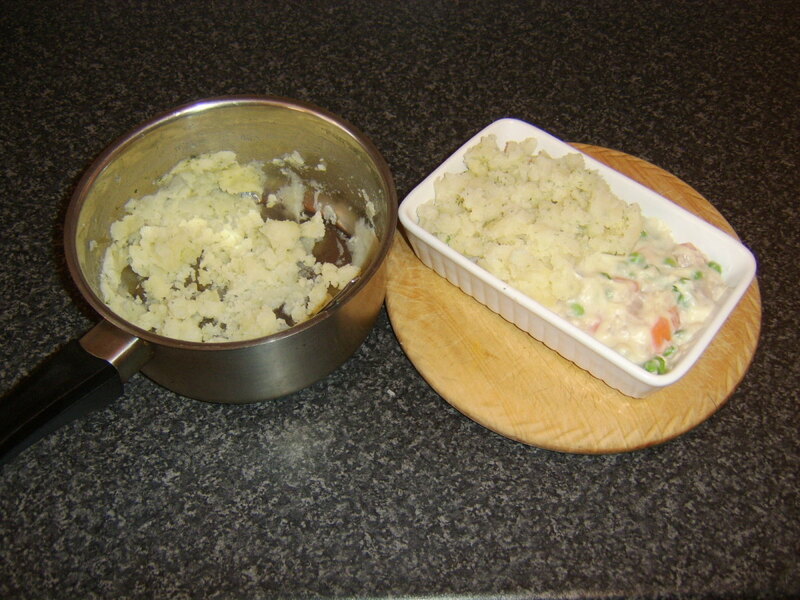 The fish will also usually be cooked first by poaching and left to cool before being stirred in to the bechamel sauce. 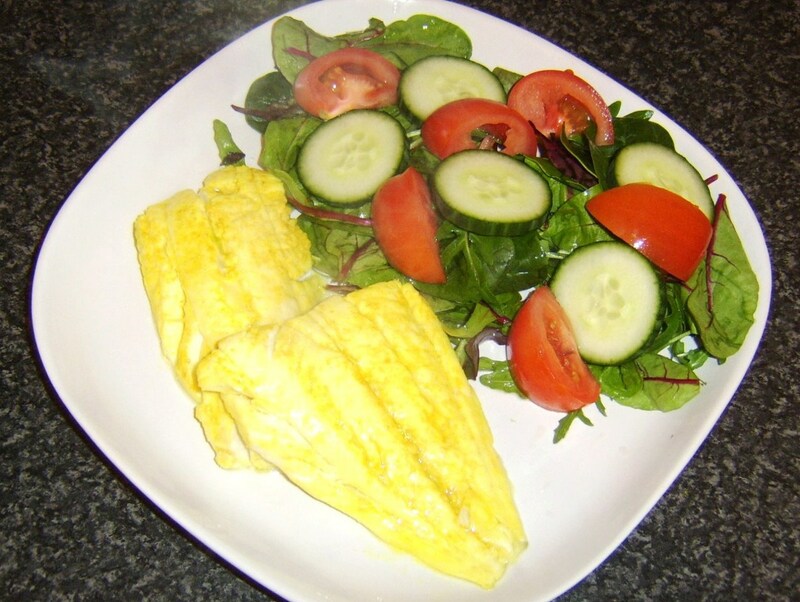 This recipe was designed for speed and simplicity and proved very tasty. 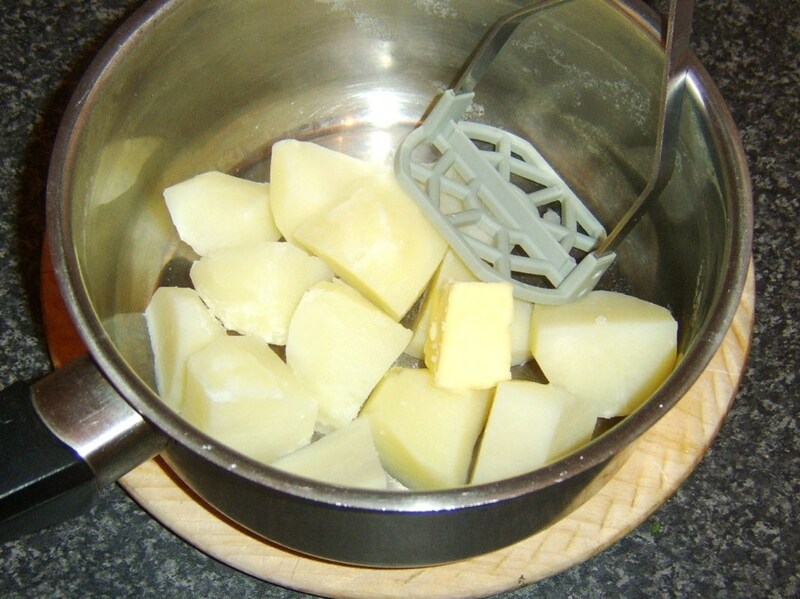 Put the chunks of potato in to a pot of cold, salted water. Bring the water to a boil and simmer for about twenty minutes until the potatoes are just soft. When the potatoes are on, put the carrot in to a separate pot of salted water and simmer for about ten minutes before adding the frozen peas. 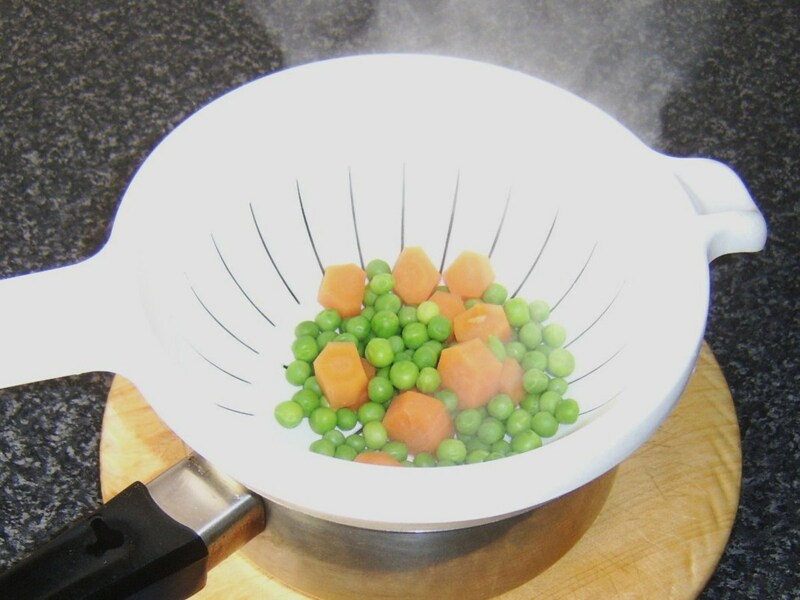 Bring back to a simmer for three more minutes before draining through a colander. Drain the potatoes and return them to the pot. Leave to steam for four or five minutes. This gets rid of the excess moisture and prevents soggy mash. Add one ounce of the butter as well as the dill and mash the potatoes. Put your oven on to preheat to 190C/375F. Warm the milk in a small saucepan and transfer to a heatproof jug. Put the remaining butter in to the saucepan and gently melt. Add the flour and stir to form a roux. Stir the milk in to the roux in stages to form a lush sauce. 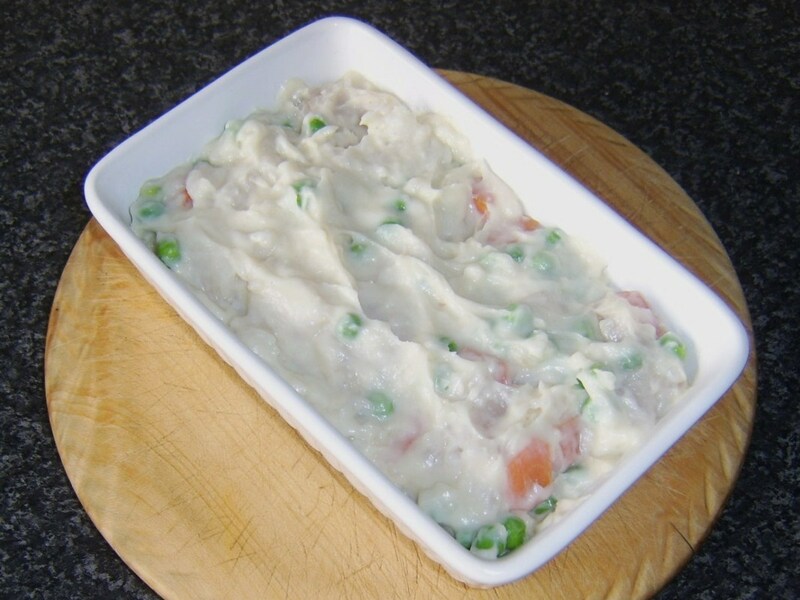 The haddock, carrot and peas should carefully be folded in to the sauce. Put the pie filling in to an appropriate, ovenproof dish and smooth out. 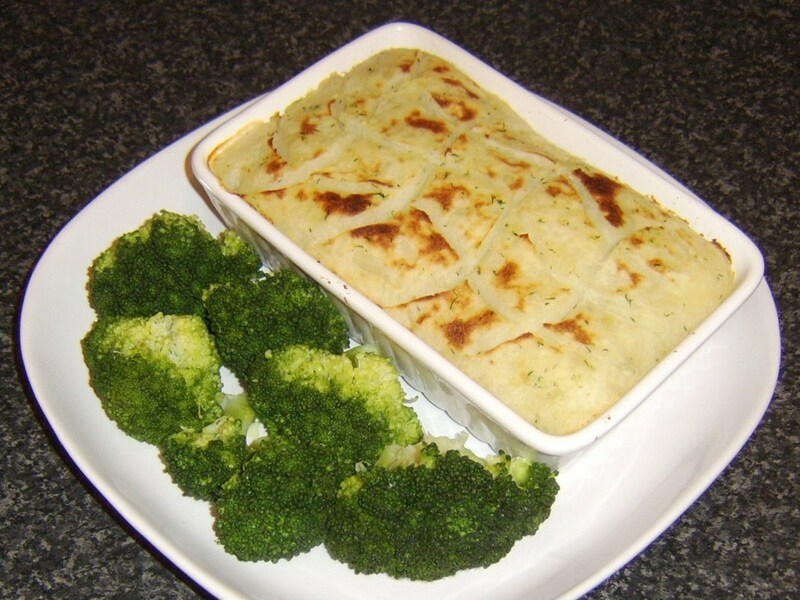 Use a teaspoon to dot lumps of potato evenly over the haddock sauce mixture. This prevents the two being accidentally combined. 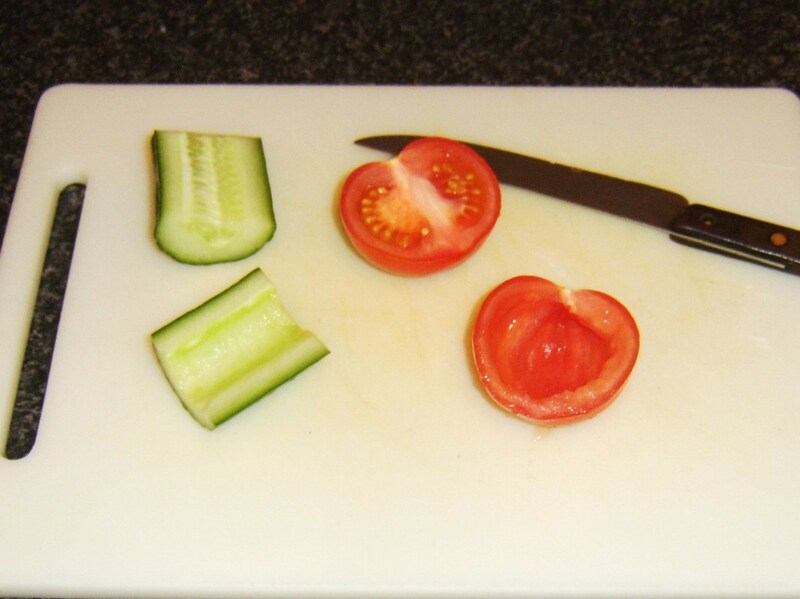 Dip a knife in boiling water before using it to smooth out the mash. Put the pie in to the hot oven for thirty minutes. Ten minutes before the pie is ready, put the broccoli florets in to boiling, salted water. Simmer for ten minutes. Brown the pie topping under the grill/broiler and transfer to a serving plate. Drain the broccoli and lay alongside. 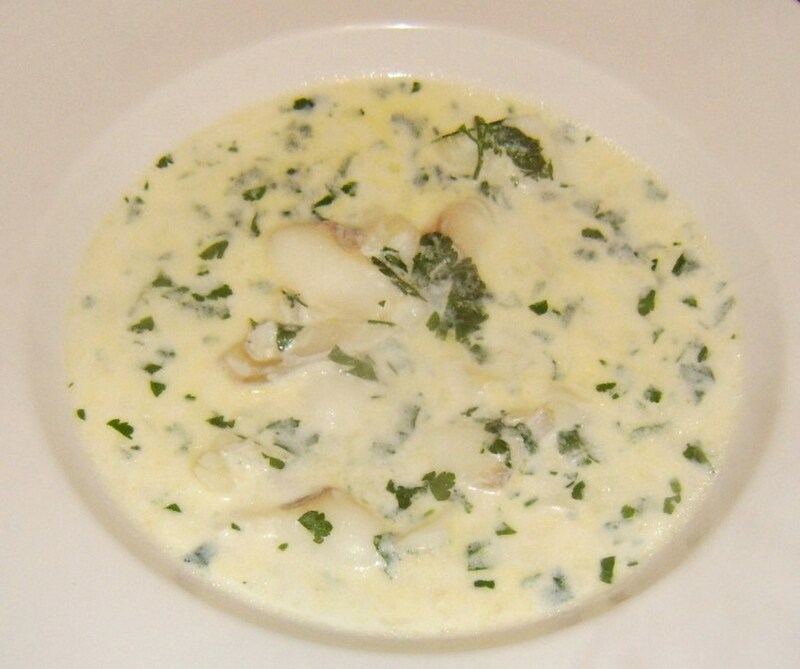 Cullen skink is a smoked haddock soup which originated in the fishing village of Cullen in the North of Scotland. 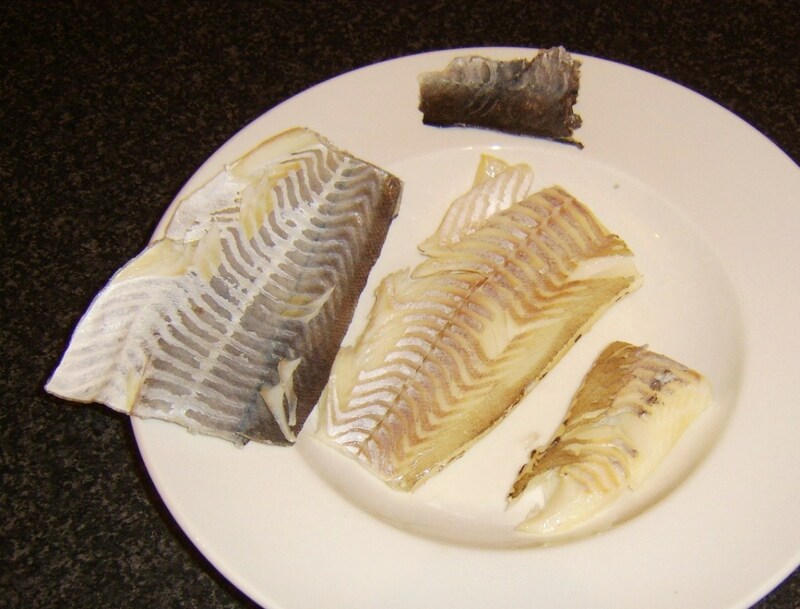 It is delicious prepared with another great Scottish delicacy if you can get it, Finnan haddie, a cold smoked form of haddock from the village of Findon in Aberdeenshire. Cullen skink is one of those classic dishes which has undergone all sorts of modernisations and recipe twists. 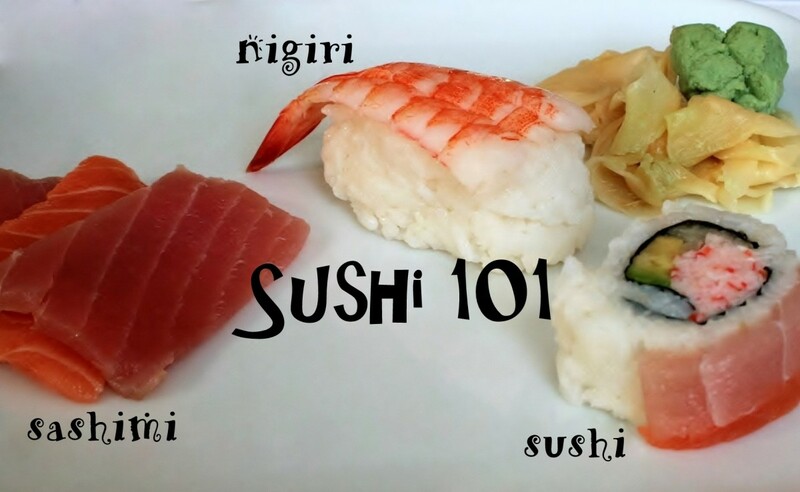 While many of those additions certainly make for a delicious eating experience, it has to be argued as to how much you can amend a classic recipe before it essentially loses its identity and becomes something else altogether. 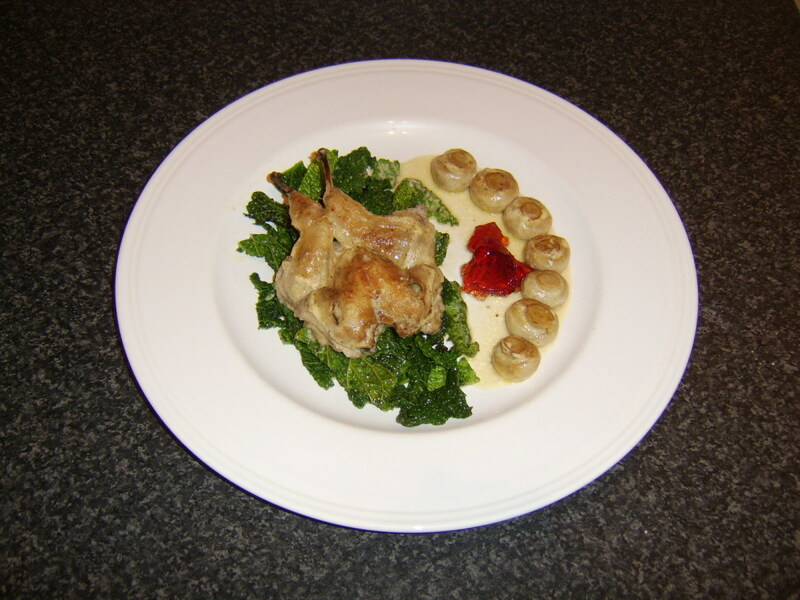 That is why the Cullen skink recipe below is very much in keeping with the traditional. Put the potatoes in to a pot with plenty of cold water but - very importantly - no salt. 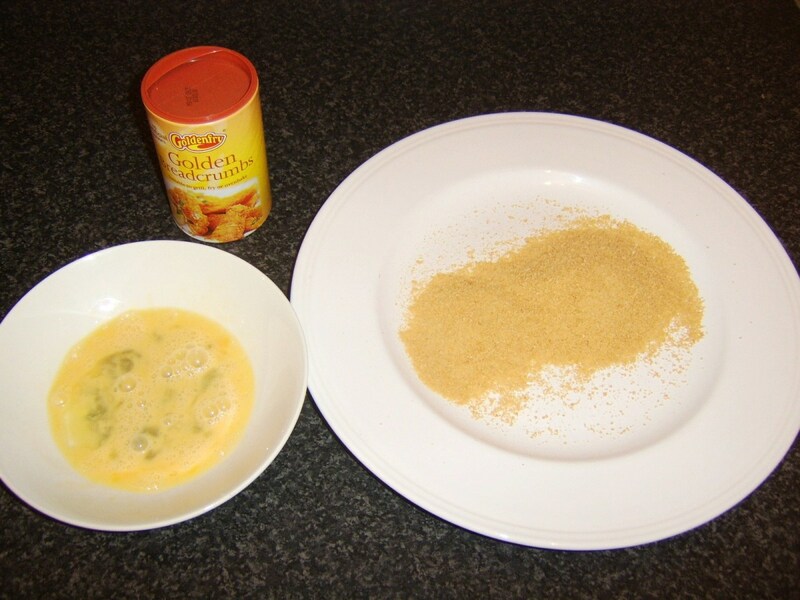 This soup recipe should obtain all the salt necessary from the smoked haddock. Bring the water to a simmer for about twenty minutes until the potatoes are softened. 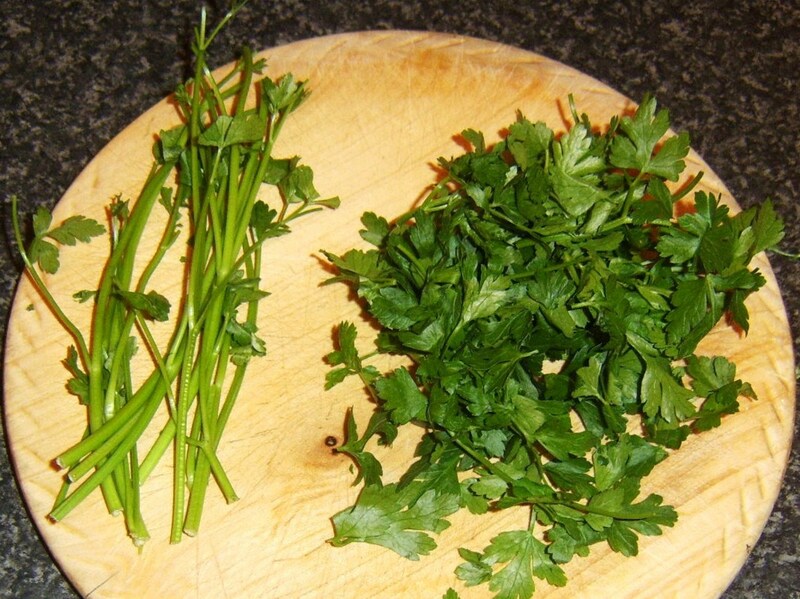 Strip the parsley leaves from the stalks and set the leaves to one side. 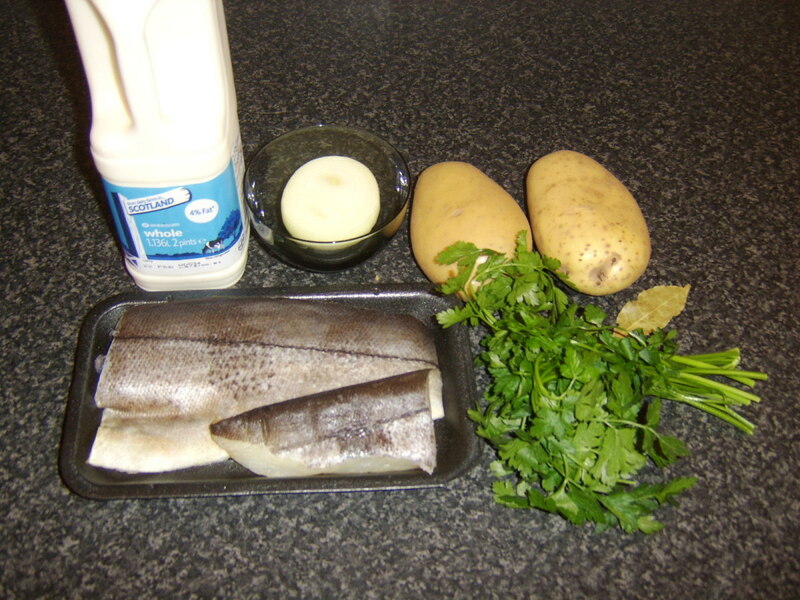 Put the smoked haddock in to a large pot and pour in the milk. Add the parsley stalks and the bay leaf. Heat the milk gently until it only just reaches a simmer and no more. Do not allow it to boil. Turn off the heat and sit the pot on a cool part of your stove for five minutes only. 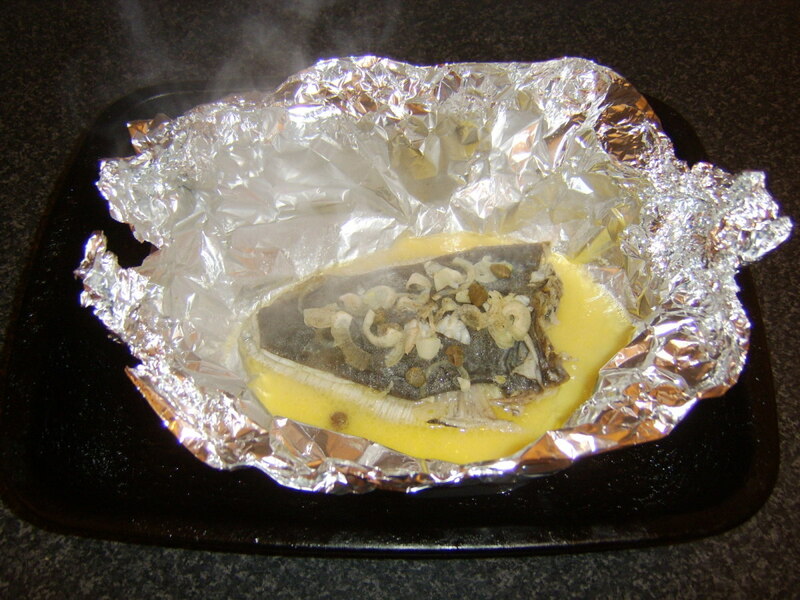 Remove the haddock with a slotted spoon to a plate, cover and leave to cool for around fifteen minutes until it can be comfortably handled. Drain the potatoes, return them to the pot and allow to steam for a few minutes. 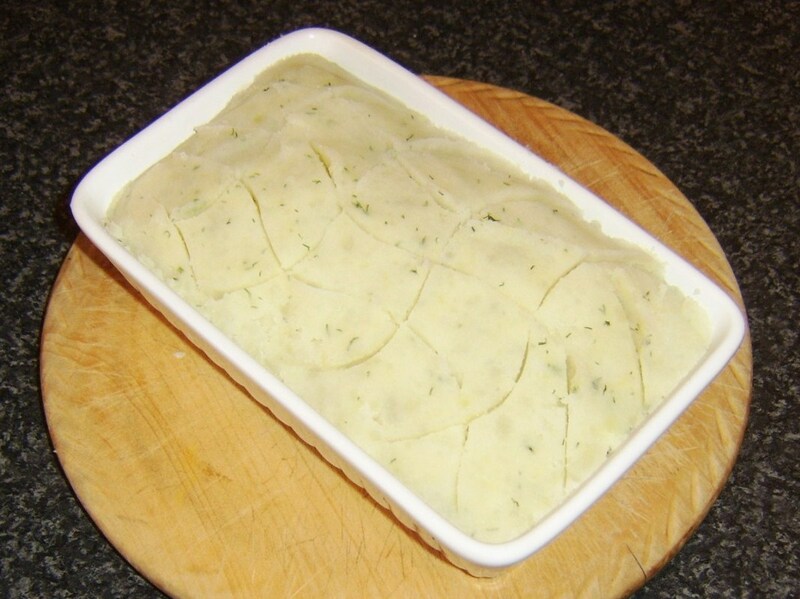 Add one ounce of the butter and mash with a hand masher. 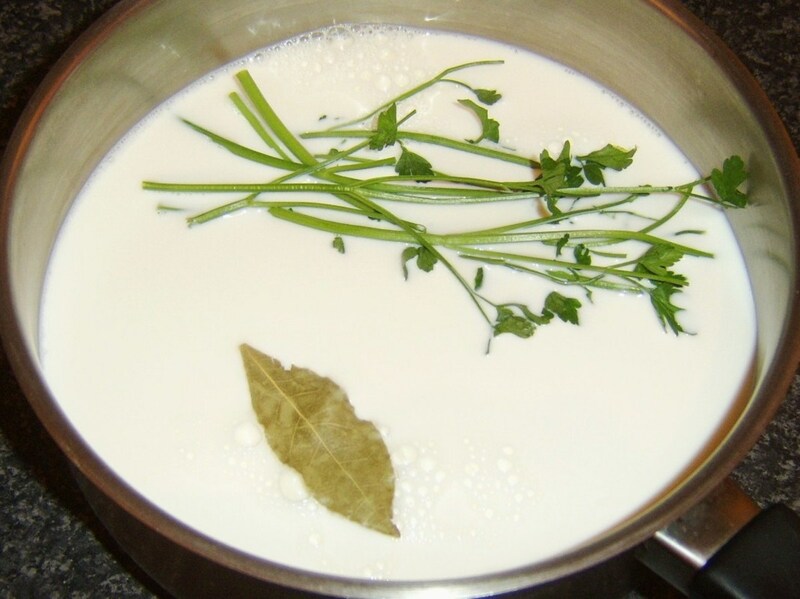 Strain the milk to remove the bay leaf and parsley stalks. 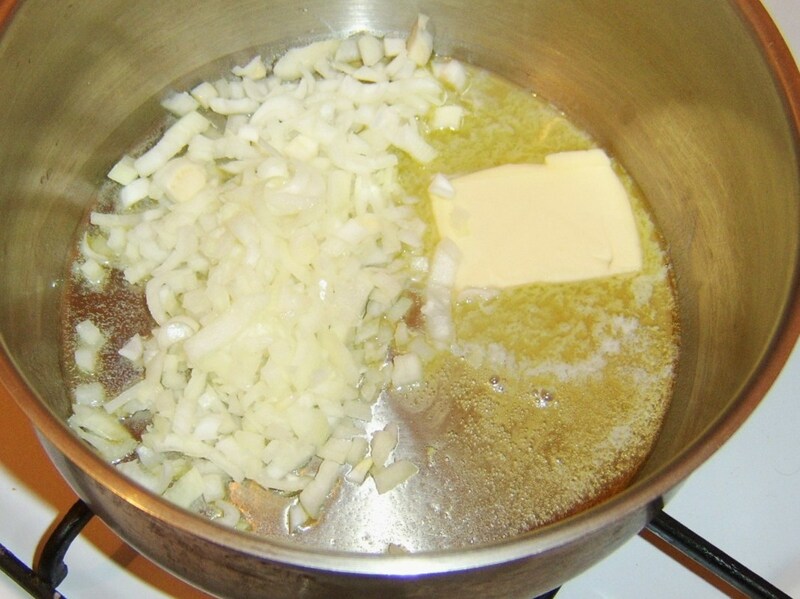 Melt the remaining ounce of butter in a large soup pot and gently sweat the onion for a few minutes, stirring frequently with a wooden spoon. 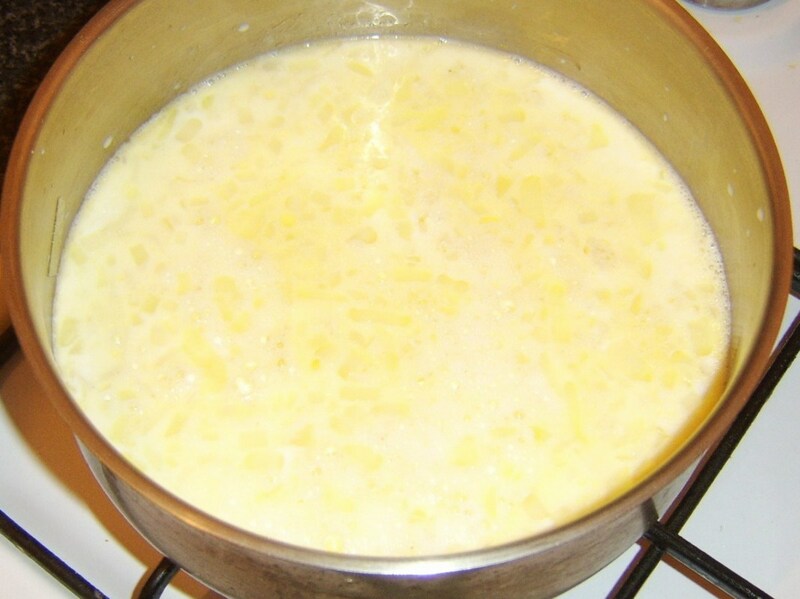 Pour in the strained milk, spoon in the mashed potato and heat over a medium setting until the liquid reaches a very gentle simmer. 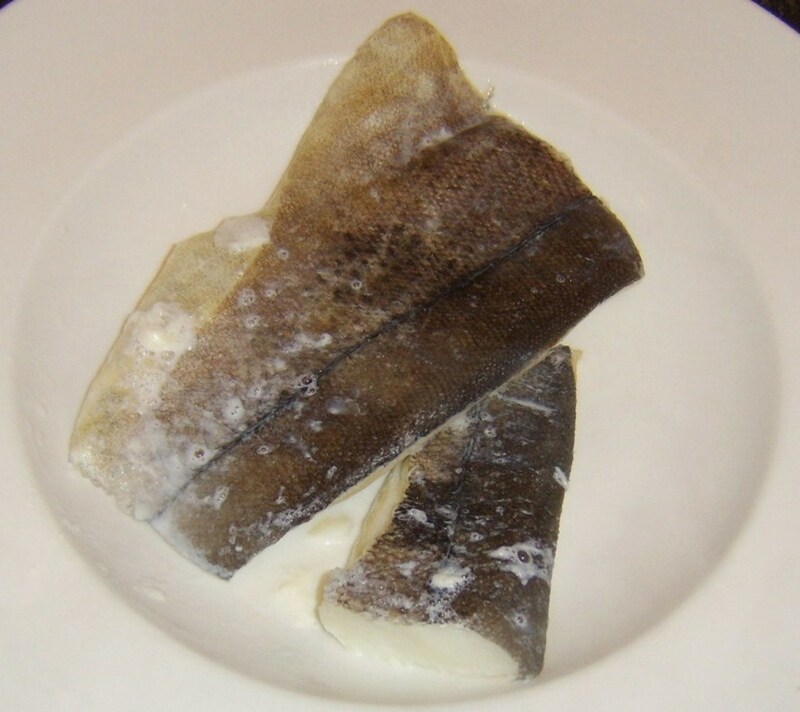 While the milk is heating, remove the skin from the smoked haddock. It should peel off easily. 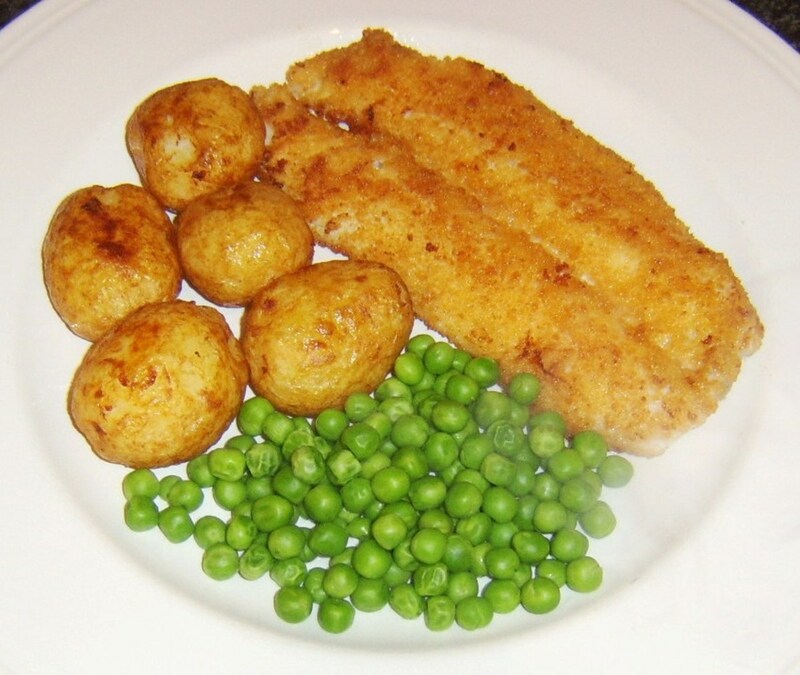 The haddock should then be very gently separated in to its large, natural flakes. Do use a light touch or you will damage the flakes. Also use the opportunity to feel for and remove any remaining bones. Roughly chop the parsley leaves. When the milk begins to simmer, begin stirring with a wooden spoon. 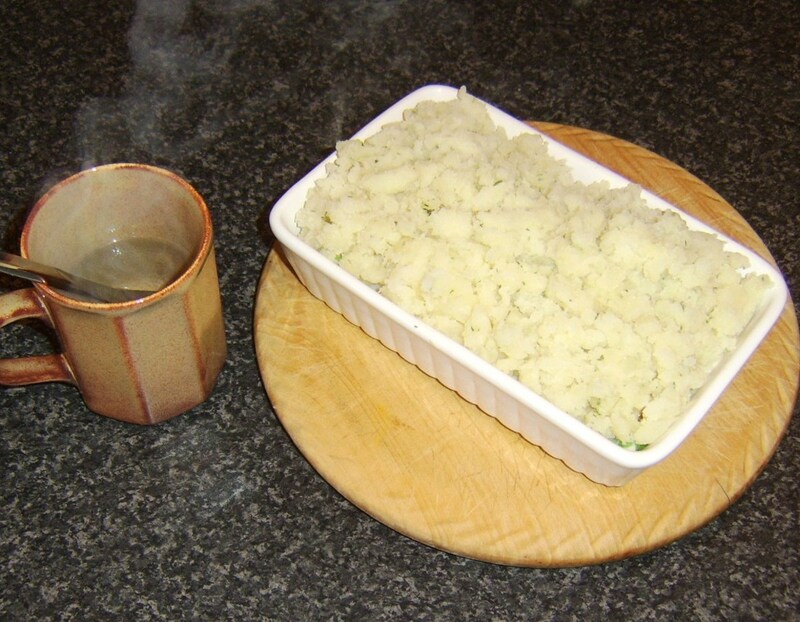 As the potato begins to melt, it should thicken the liquid very slightly. 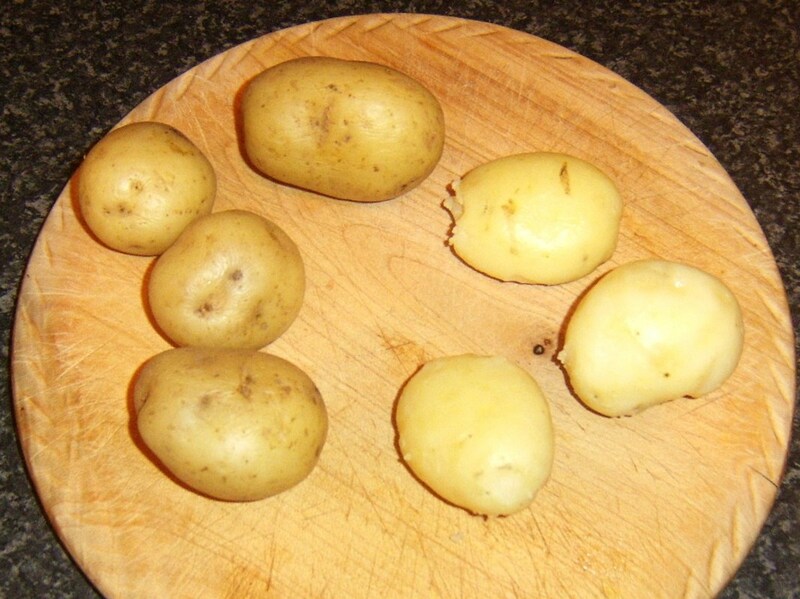 (If you partiularly want extra thick soup, simply up the quantity of potato in the recipe). 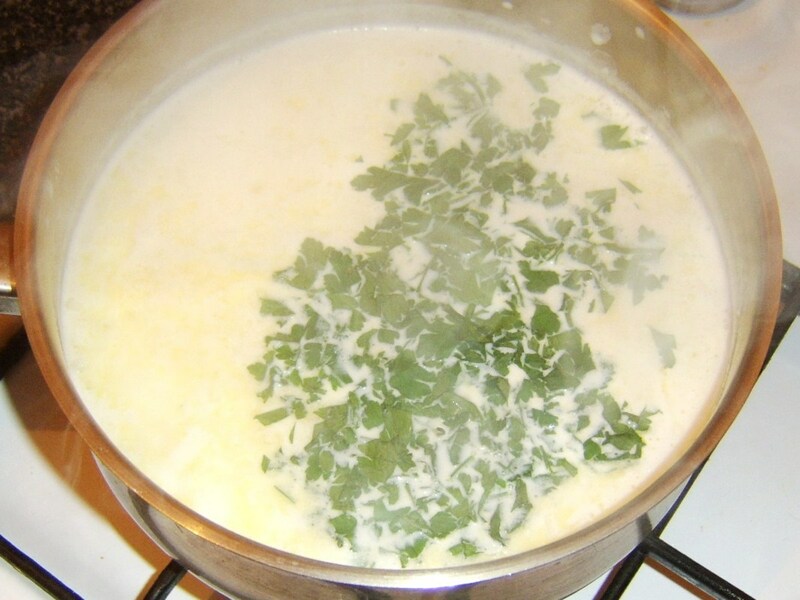 After a few minutes and when the soup has begun to thicken, add the smoked haddock and parsley. Bring the soup back to a simmer for two minutes only. Be very careful stirring at this stage or you may damage the haddock flakes. Taste the soup and season with white pepper as required. 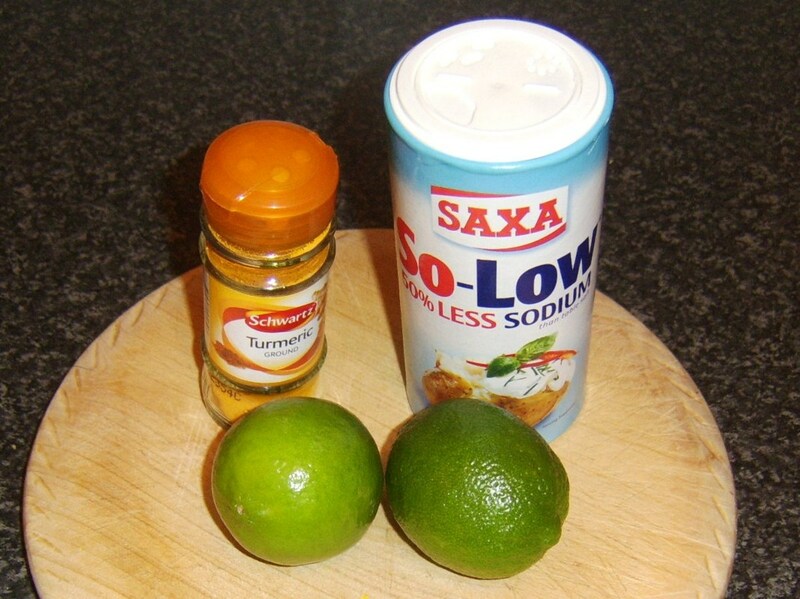 It is very unlikely to be required but salt can also be added if necessary. Ladle the soup in to bowls and serve. This haddock recipe came from watching on TV the simple fish cooking techniques of the people of Goa, India. 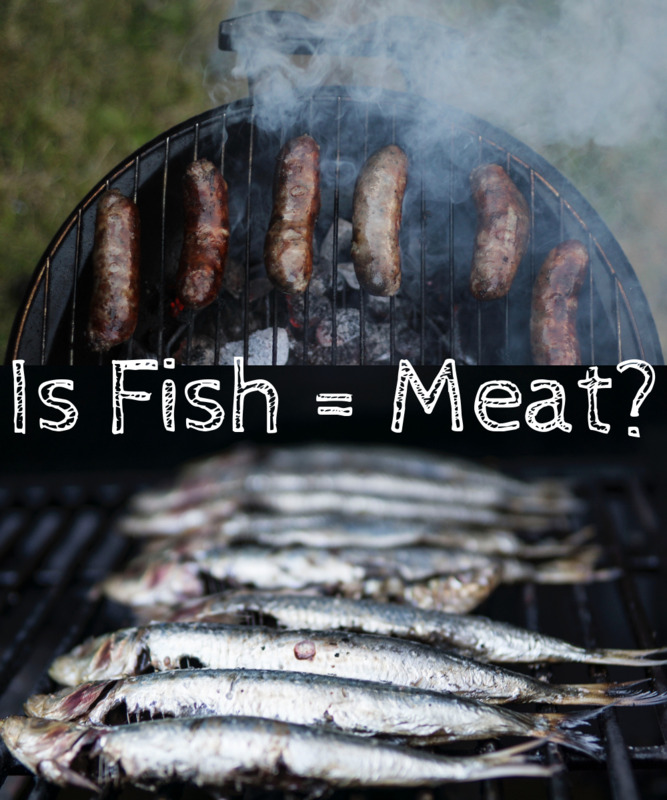 It is vital to point out that the fish really should be marinated for no more than two minutes or the acidity in the lime juice will have significantly started the cooking process and the fish will be served slightly on the tough side. This fact also means, however, that this dish is perfect for a night where you have had a hard day and are looking to eat quickly but well. 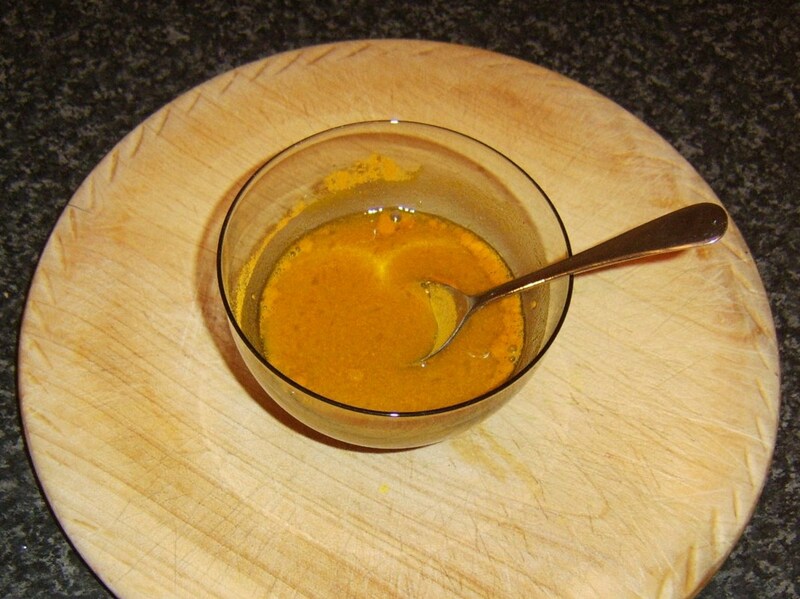 Mix the marinade ingredients together in a small bowl. 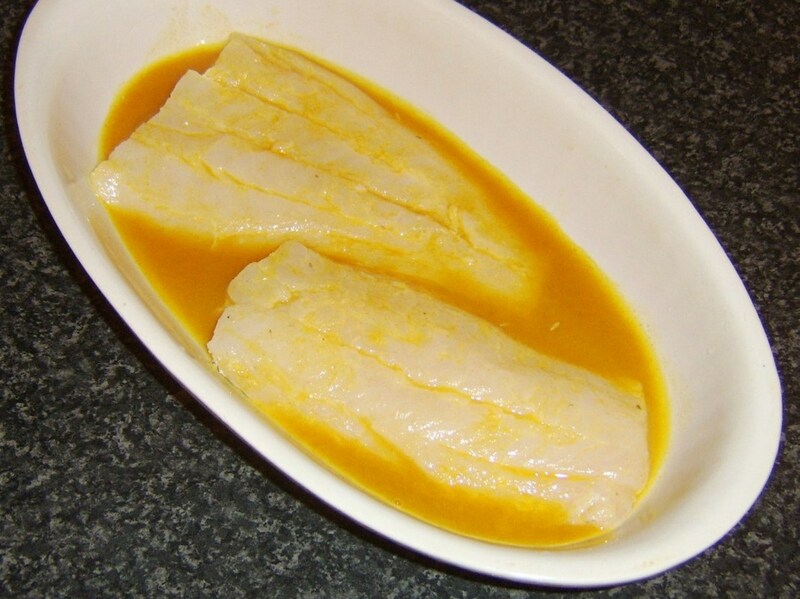 Lay the haddock fillets in a suitable deep dish and pour over the marinade. Lift and turn the fillets a couple of times with your hand to ensure even coating. Leave for two minutes. 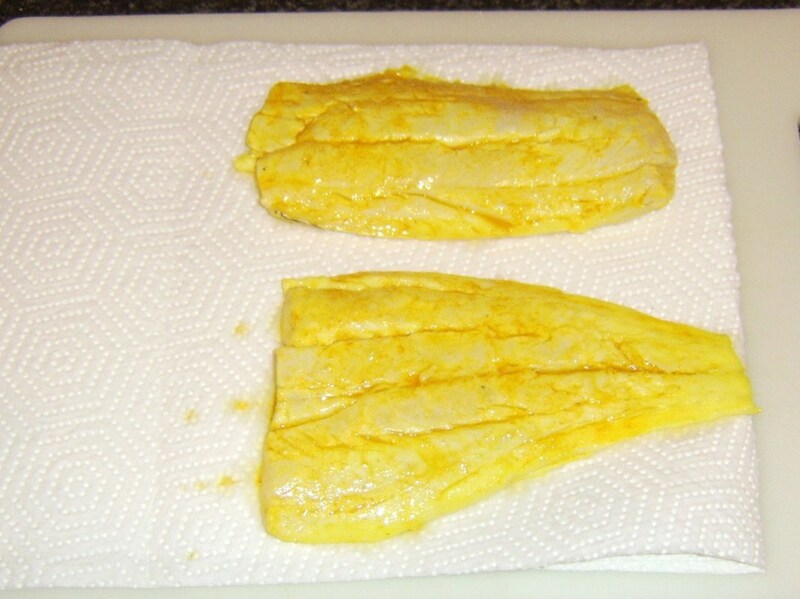 Lift the haddock fillets from the marinade, gently shake and pat dry with kitchen paper. 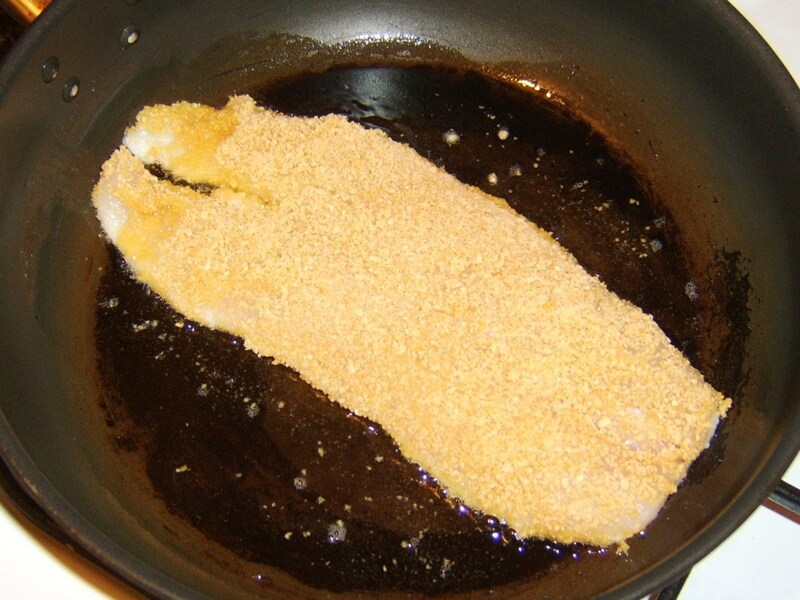 Heat the vegetable oil in a frying pan and fry the fillets for a minute to a minute and a half (depending on thickness) only on each side. 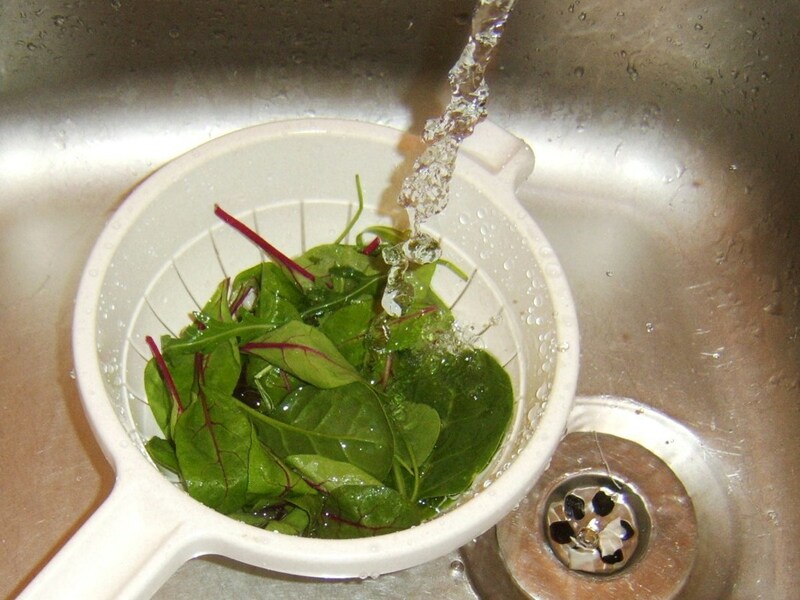 Bagged salad leaves bought from supermarkets will often be sold as washed and ready to eat. Never take this at face value and always wash them in a colander under running cold water. 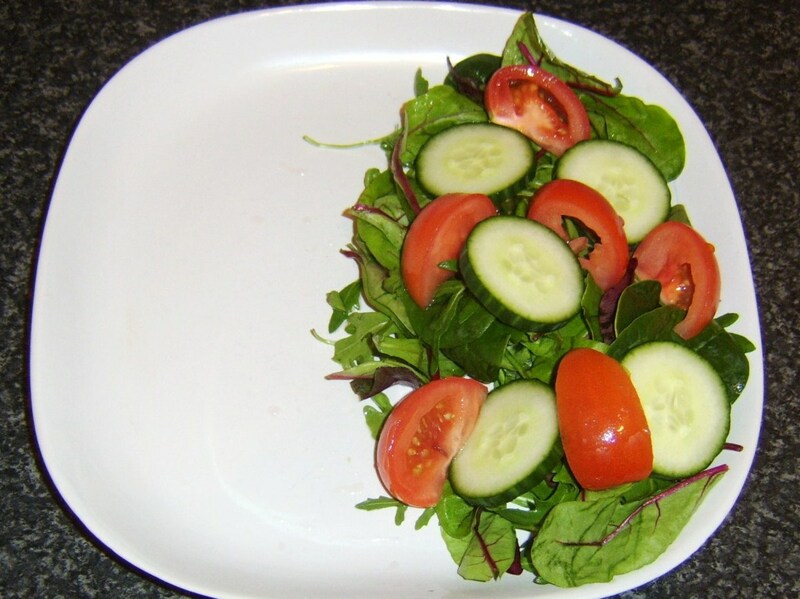 Plate the salad leaves, tomato and cucumber and season with salt and pepper. 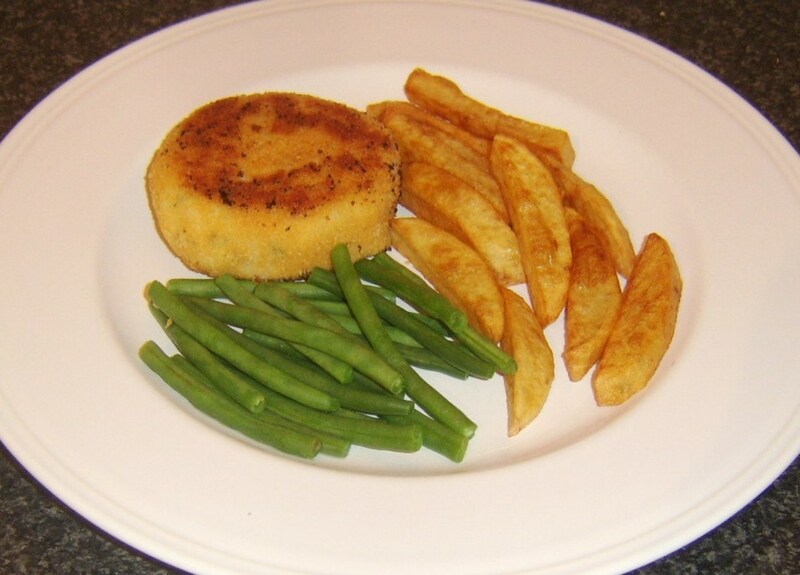 Lift the haddock fillets carefully on to the plate and garnish with the chopped herb if required. While this simple yet delicious dish could be prepared with homemade bread crumbs, it has to be reluctantly acknowledged and conceded that the supermarket bought, rusk based bread crumbs do make for considerably better presentation. 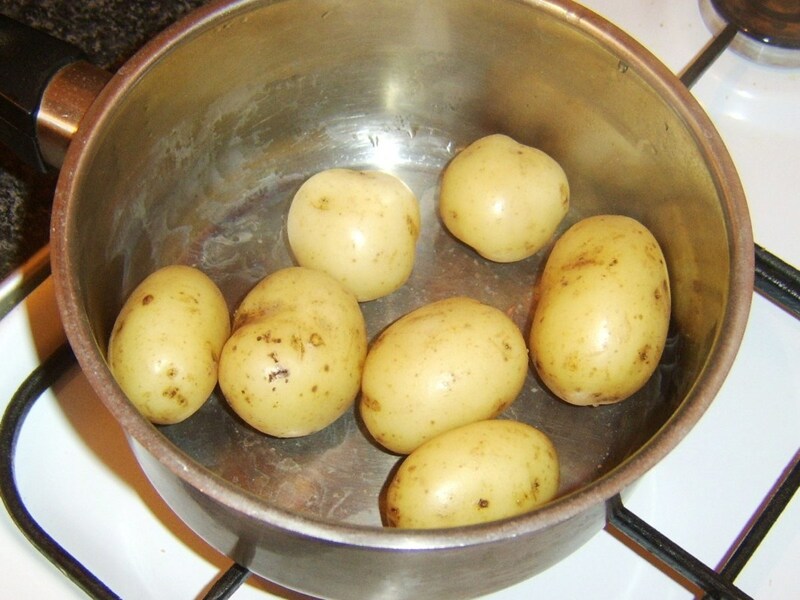 Put the potatoes in to cold salted water and bring the water to a boil. Reduce the heat and simmer for half an hour. Drain, return to the pot, cover and leave for an hour to cool completely. Peel/rub the skins from the cooled potatoes and put your deep frier on to reach a medium to high heat. Scatter the bread crumbs on a dinner plate. 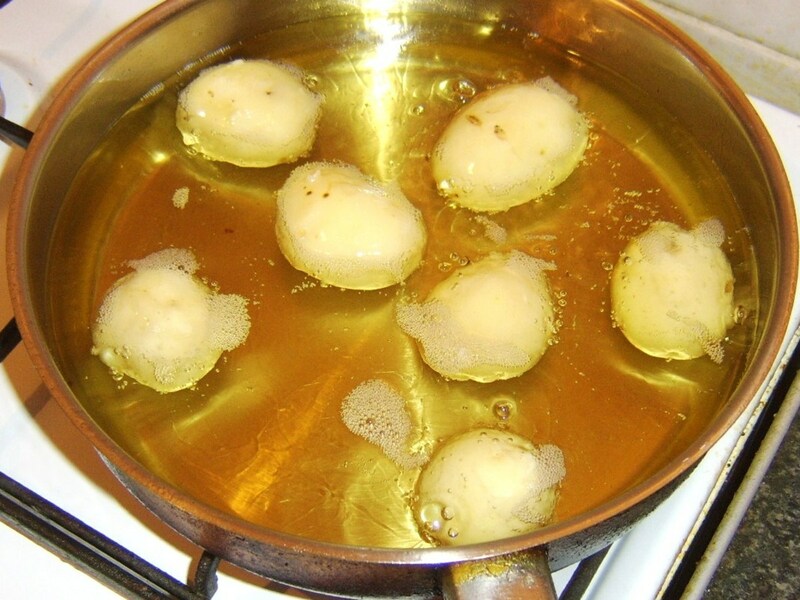 Put the vegetable oil in to a frying pan and bring up to a medium heat. Put the potatoes in to the deep fryer. They will take about five minutes to become crisp and golden. 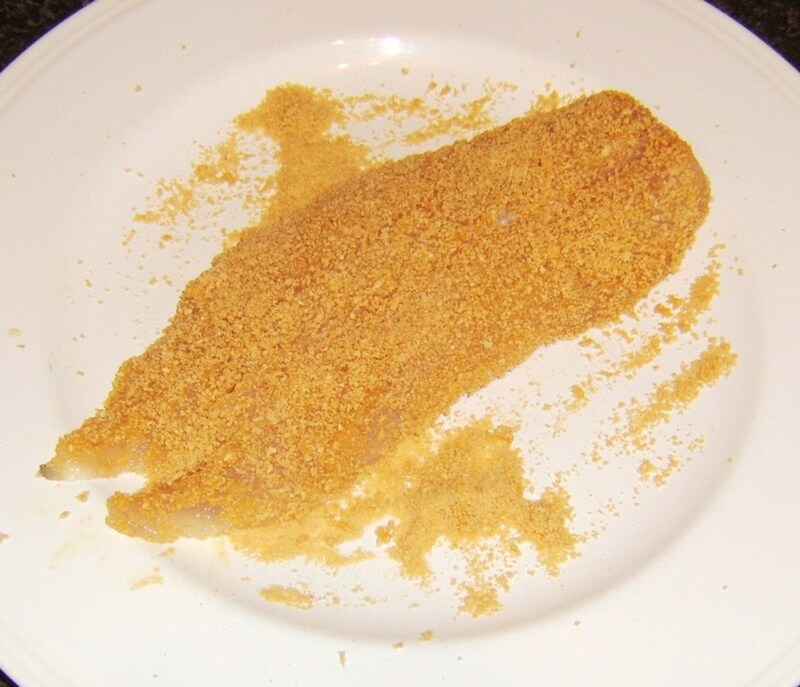 Dip the haddock in the egg then pat on both sides in the bread crumbs. Fry for two minutes each side on a medium heat. The peas should be added to boiling water for three minutes. Drain the potatoes on kitchen paper on a plate. 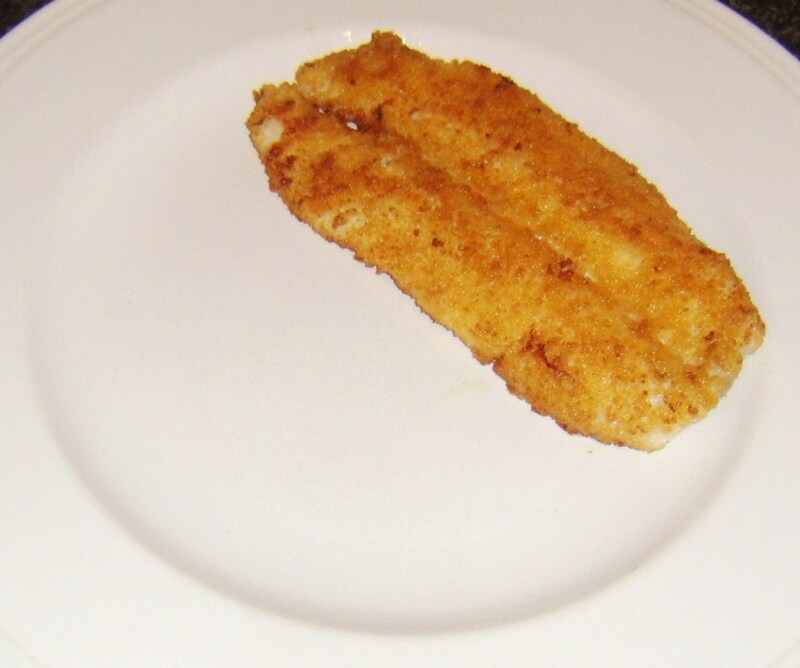 Lay the haddock on a serving plate. Drain the peas through a colander and plate with the potatoes. Season the potatoes and peas with salt, pepper and malt vinegar. Spoon on the tartare sauce at one end of the haddock and garnish with the lemon wedge. 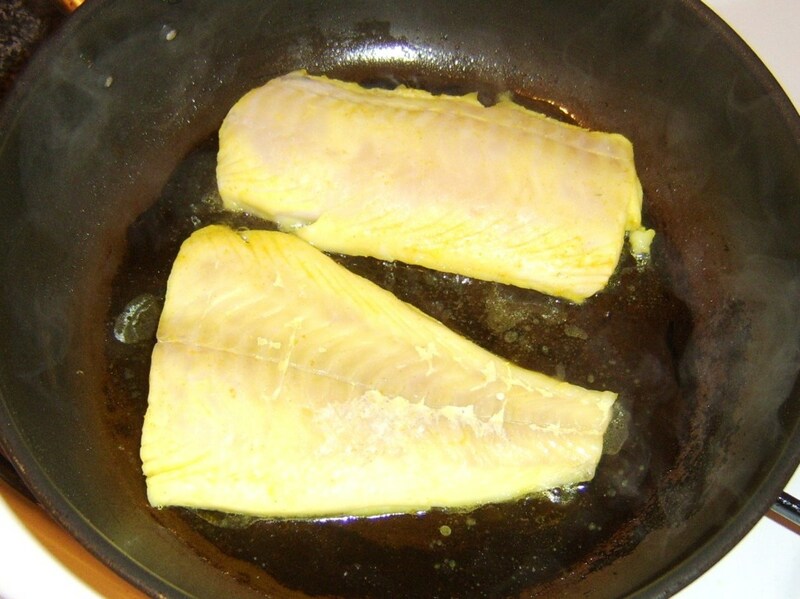 What do you think is the best way to cook haddock? Hi, John. Haddock is definitely an incredibly tasty fish and I was glad to read recently that the stocks are improving again in the oceans. I've never tasted a haddock from the Pacific or a King fish but would love to do so. Thanks for reading and leaving your comment. Hi Wesman and thanks for stopping by. Cheers! Love this hub! For years I'd always go to the Harrah's Buffet in Lake Tahoe just for the Haddock; it's a great tasting fish - one of my favorites. Atlantic fish taste better than Pacific ones. The King Fish is another of my all time favs! What an extremely well done article! Cheers! Hi, randomcreative.The chowder/cullen skink is an old childhood association of mine and means a lot to me. I hope you enjoy it if you give it a try. 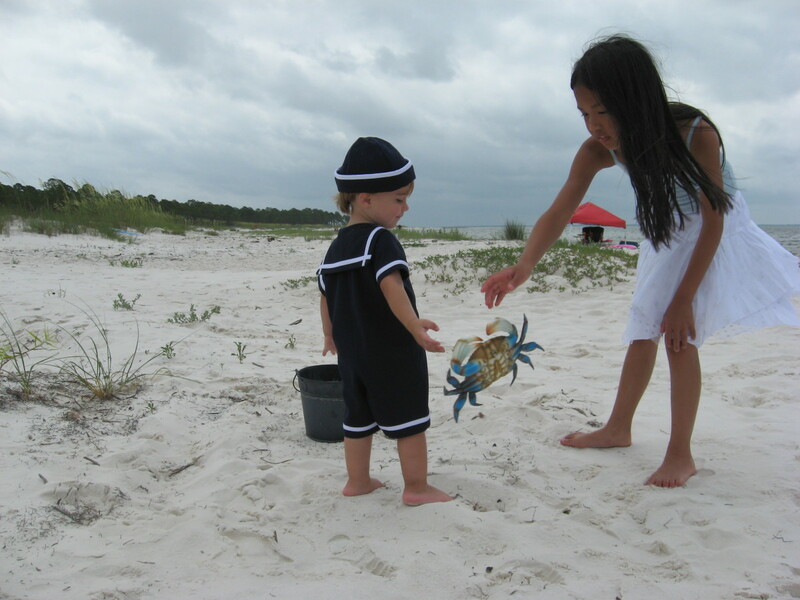 Thanks as always for visiting and commenting. I always enjoy the mix of recipes that you include in these types of articles! The chowder looks especially delicious. Thanks for the great resource. 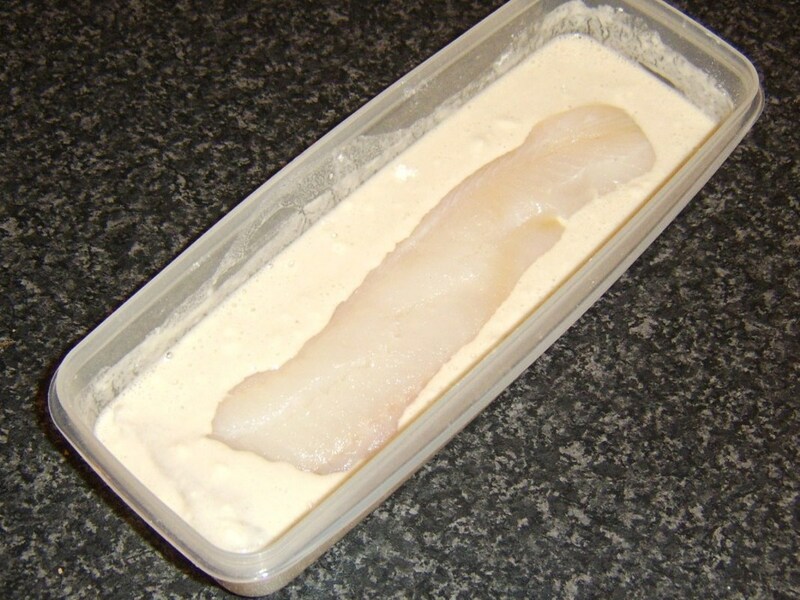 I'm excited to make haddock sometime.